Through extensive research and development, ALL Garage Interiors delivers the toughest garage cabinetry in the industry. 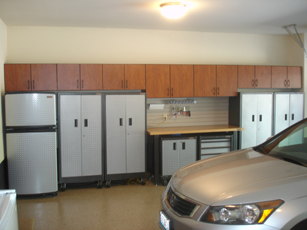 Caliber cabinetry has been engineered to withstand the harsh garage environment. While tough as nails, Caliber Garage cabinets are beautiful like their namesake. They enhance the curb appeal of your home and offer ample storage solutions for everything in your garage. 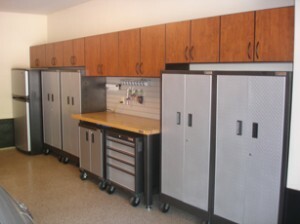 Caliber Garage cabinets come in six standard colors plus an endless array of custom colors and size options.